Provides 800 square feet of space. Allow 10-12 square feet/person for 8 foot banquet tables. Customer is mandated by federal law to Call Before You Dig for use of stakes with tent. If tent location has not been marked by utility locations service, ABU cannot set up a staked tent. No refunds will be issued when utility locations are unmarked. Must choose stakes or barrels at checkout. 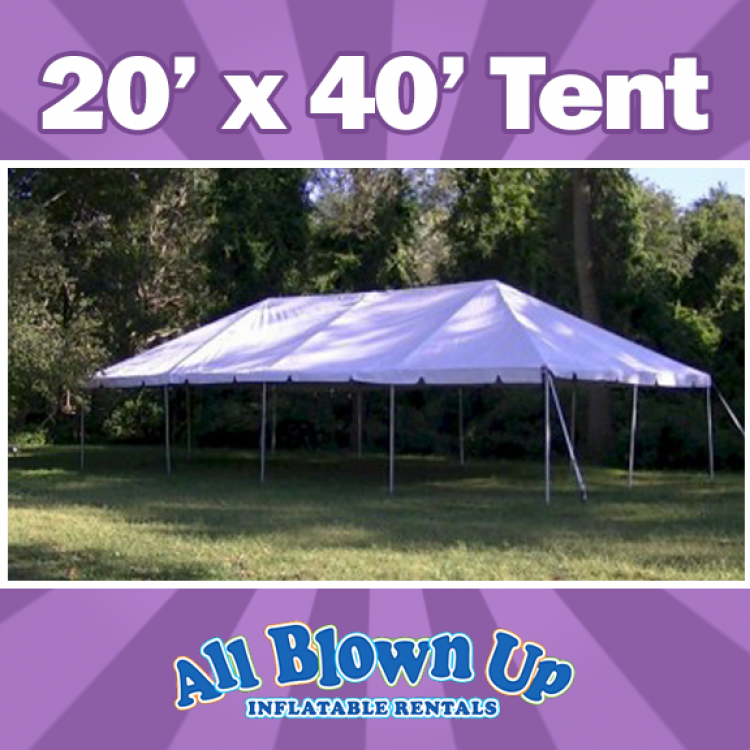 Tents are typically setup the day before your event and torn down the day after your event when ever possible. Tent setup and tear down days/times are at All Blown Up Inflatable Rentals' discretion. We always strive to meet the needs of our clients. Time sensitive set up and tear down is available at an additional cost.